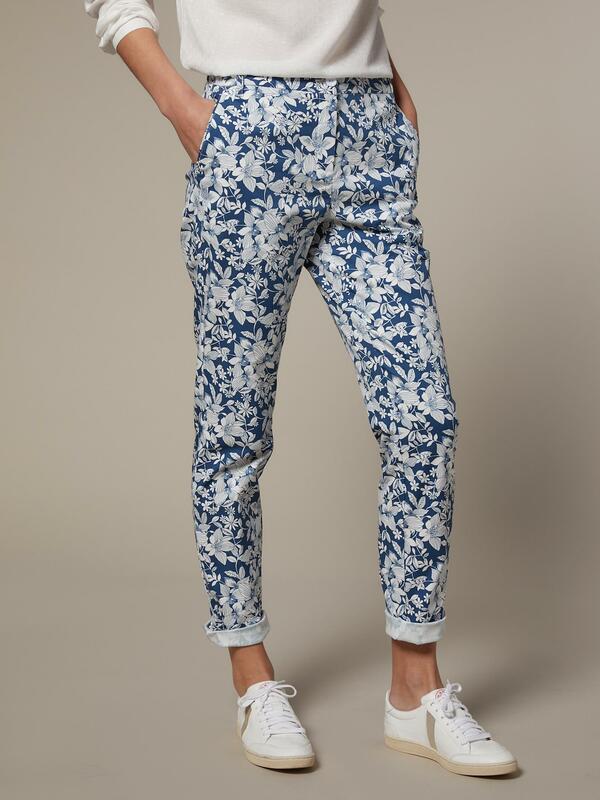 Cut in a beautiful and very comfortable stretch fabric, the iconic chino trousers get a unique and exclusive* print. Chino styling, normal waist. Waistband with belt loops, zip, and button fastening. 2 slant pockets. Darts and 2 piped pockets at back. Inseam 75cm, leg width 16cm approx. The touch of elastane allows for a fitted cut that hugs the body. * "Wallpaper Flower" print by Amanda Kelly Design Studio. Based in Great Britain, this textile design studio puts the pulse on the strongest trends, the most original motifs, and the most contemporary prints.